The “LADY OF THE STREAM” weekend at the Peat Spade Inn February 9th and 10th 2013. A chance to really understand this graceful but mysterious game fish in relaxed surroundings with renowned grayling enthusiast, tackle designer and England Team member, Howard Croston. Chalkstream guide and instructor Howard Taylor and AAPGAI master instructor Brett O’Connor. Book now, cost £295 + VAT per person. Dinner, B&B, fishing, and instruction inclusive. Wine, bar and gratuities not included. 6pm – Introductions (and a beer) at the Peat Spade Inn bar. 7pm – ‘Grayling Fishers Dinner’ 3 superb courses in the Mayfly Mess private dining room with your hosts. After dinner presentation and slide show by Howard Croston focusing on modern grayling fishing techniques, their environment, feeding habits, flies, rigs and tackle. Informal Q&A session. Bed and breakfast at The Peat Spade Inn, Longstock and The 3 Cups Inn, Stockbridge. All transport arranged. 9am – Coffee at Peat Spade Inn. 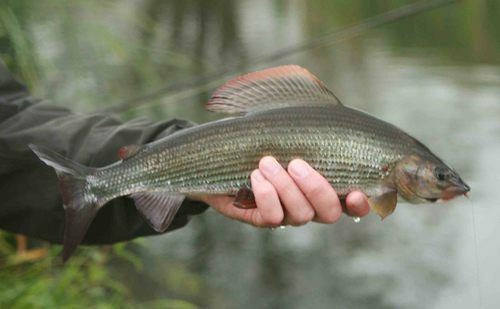 A days exclusive grayling fishing the Rivers Test and Dever on the amazing Newton Stacey Estate. The day will include a riverside grayling tutorial, a light lunch and one-to-one fishing with three professional instructors.